Laura Ausmus is a Senior Business Analyst at ESPN. Laura Ausmus steps into the Past President role after holding many positions on the board. Laura joined ESPN in 2008 and works in Disney & ESPN Media Networks Affiliate Partnership Development & Operations as a Senior Business Analyst. Laura is responsible for the Disney & ESPN Affiliate Zone website, a top rated affiliate site across the industry. Laura ensures ESPN & Disney’s distribution partners have everything they need in order to launch, air and promote their networks. Laura has been a member of the WICT New England board for 6 years. An enthusiastic and engaged leader, there is no job too small for Laura. She has been involved in planning many of WICT’s member events as both Program Director and most recently as Vice President. Laura’s influence can be seen on WICT New England’s webinars, day sessions, networking events and the signature event, The Evening of Excellence. She is the recipient of chapter awards including The President’s Award in 2014 and Ambassador of the Year 2012. 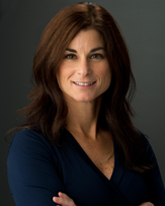 Laura holds an MBA and a BA in Psychology from Southern Connecticut State University. She is mother of two and currently resides in her hometown of Cheshire, CT.